This work builds on the INTEGRATE pump-priming research between Keeling & Moran. To use data collected at the Heart of England NHS Trust to train statistical models that are able to predict the likelihood of bacterial infections being drug-resistant for any given patient presenting to hospital as emergency admissions. To determine if these models can be used to build a decision support tool that guides medical practitioners in high quality evidence-based antibiotic prescribing and a reduction in the use of unnecessary broad-spectrum agents. To develop understanding of recent AMR trends. With 6-months funding, as well as improving the performance of the predictions (by training the algorithms with additional variables, such as patient comorbidities) we will determine whether there are potential benefits when using such algorithms to supplement current prescription practices. To do this we will measure the potential costs of errors that algorithms may make when predicting resistance. The effect of prediction errors which result in a patient initially being given an ineffective antibiotic can be measured from the data in terms of increased length of time spent in hospital, chance of mortality, or chance of entering intensive care. We will compare how frequently the algorithmic prediction makes these errors compared to doctors following guidelines in the data. We will also compare how frequently using the predictions would result in patients receiving broad-spectrum antibiotics when they have an infection which is sensitive to a more appropriate narrow-spectrum antibiotic. Algorithms will be considered successful if they recommend antibiotics that reduce overall broad spectrum antibiotic use whilst improving patient outcomes. 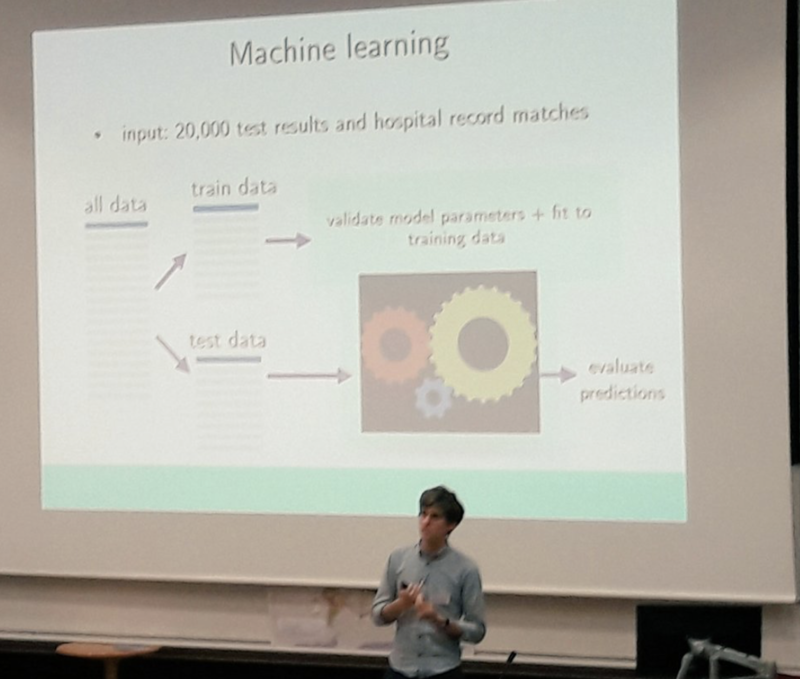 If we can demonstrate the potential benefits of using machine-learning algorithms with our data, our subsequent aim is to produce a tool that helps identify appropriate antibiotics that can be tested in a clinical environment. We plan to communicate our findings based on the Heart of England data in high-impact medical journals and conferences. At the end of six months we should have generated sufficient preliminary knowledge, data and outputs that we can apply for joint funding between Warwick and Heartlands, taking this new collaboration to the next level.